Something went wrong within the last two weeks with the Cura software. 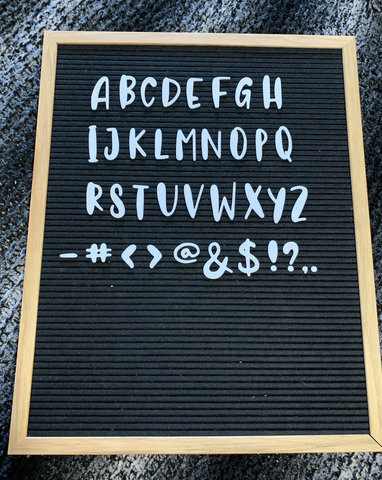 I have been printing letters for felt letterboards and successfully got 2 sets printed before the letters started coming out wacky. The problem is on the first layer (the one everyone will see) and it's like its not filling it in properly. I am using two different Creality ender 3's and I have been leveling the bed in between prints so I don't think it's a machine problem. 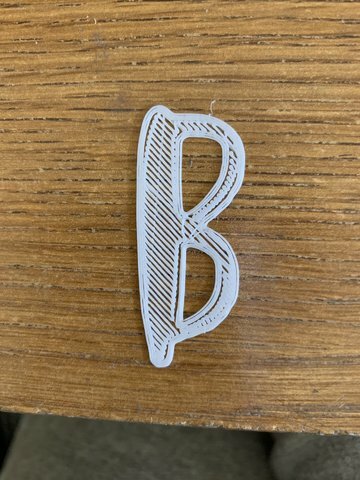 I have been trying to play around with settings in Cura but nothing I change is helping. I don't know which settings would even help this problem and which are irrelevant. What I was using and what was working before something went weird: PLA- bed temp 50, extruder temp 205. Print speed 60 mm/s, layer height 0.25mm, everything else was set at calculated. Very hard to say from the photos, but at first glance it looks like the first layer is rather thick. So, could it be that the nozzle is a bit too far away from the build-plate? My first layers look way thinner, and they are usually defined as 0.2mm. 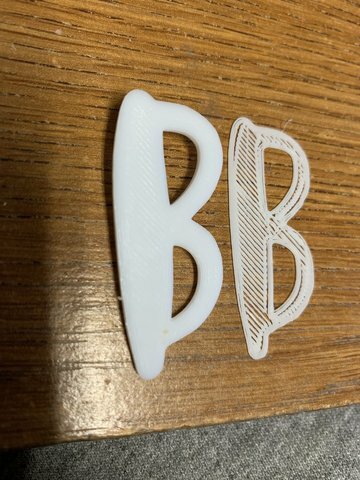 Using Cura 4.0 with an ANET A8, uprated to Marlin. I noticed the same problem on recent prints. I was printing a 28 mm diam disk, 3 mm base thickness, using 0.2 mm layers (later 1.5 mm, but fault still present). The part ended up 3.5 mm thick, with the lower side being a 1 mm disk of reduced diam (by 1.2 mm) and of much lower infill resolution than the rest of the layers. I have recently performed a full levelling / alignment process, and am happy that the problem is not mechanical. Material flow is smooth, temperatures at 200C (extruder) and 60C (bed). The workpiece is sticking nicely to the bed. 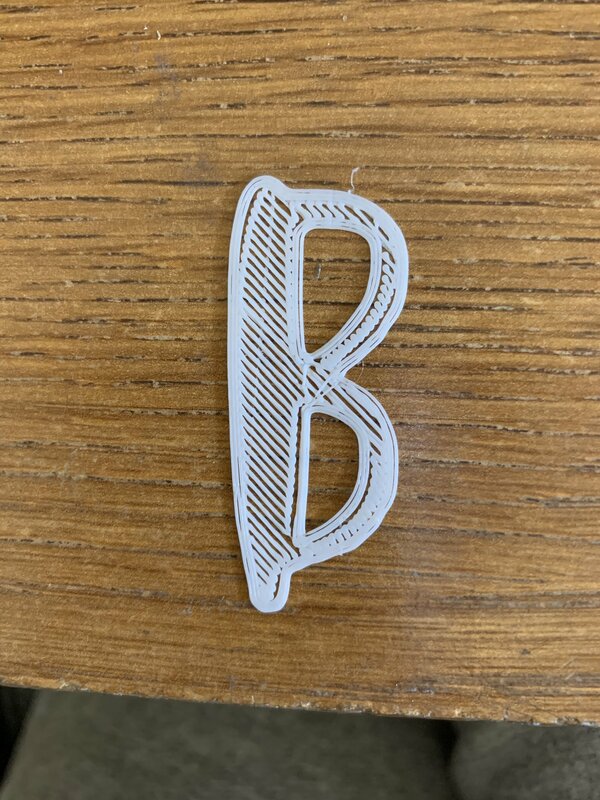 I can't see anything in the (Cura-produced) GCODE which is an obvious cause. I have tried tinkering with the profile to see if there is an easy cause, but nothing obvious. The only other clue is that the 3 mm base is supposed to have absolutely vertical edges, but examination shows the part growing in diameter slightly as each layer is printed. By the time it reaches the top surface of the disk, it has crept up to 28.4 mm.